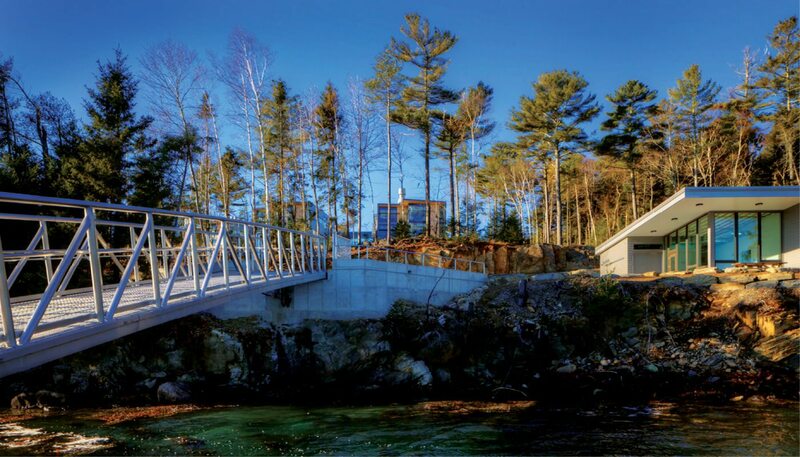 Bigelow Laboratory for Ocean Sciences is a 60,000 SF state of the art science and education campus on the East Boothbay, Maine waterfront. 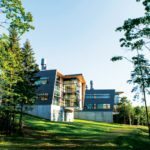 The campus is the first scientific research laboratory to achieve LEED Platinum status in Maine. 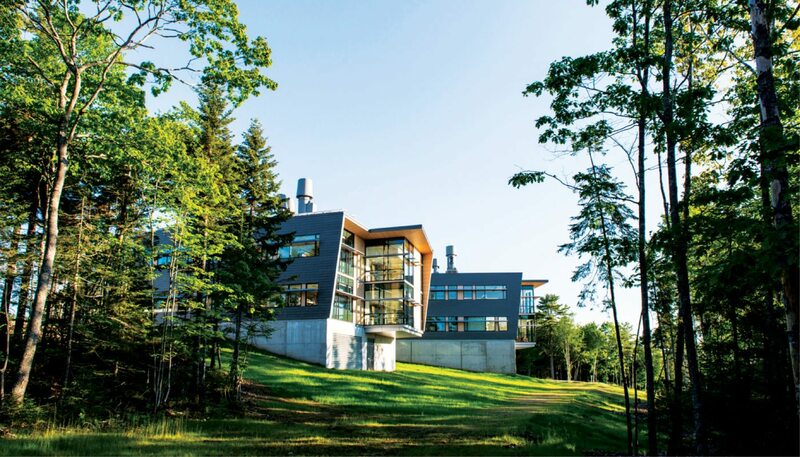 The campus consists of three interconnected science and education buildings, along with a shorefront facility and dock, the laboratory’s research on microbial processes affecting oceans, seas, estuaries. 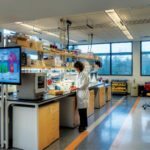 The new campus project was made possible by a combination of State and Federal grants, private financing, and private donations. 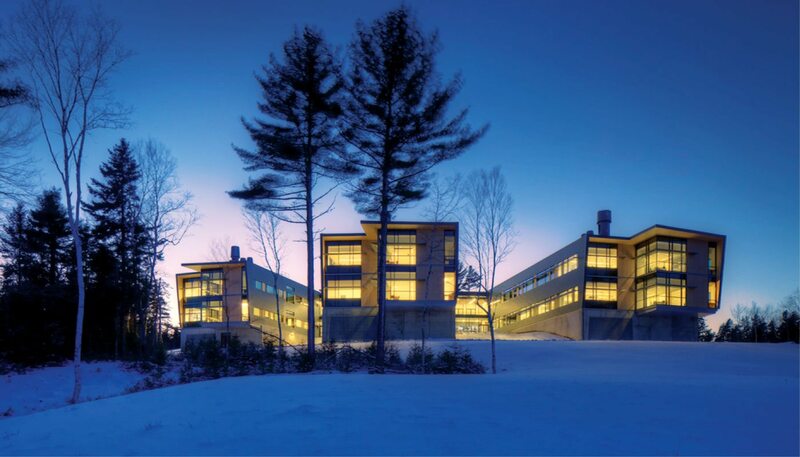 The campus and building design was achieved through a collaborative design effort between the Bigelow Laboratory leadership and an integrated design and construction team that included WBRC Architects ∙ Engineers, Architects and Engineers of Record, and Perkins + Will, Design Architects of Boston, Mass., and Consigli Construction Co., Inc. of Portland, ME. 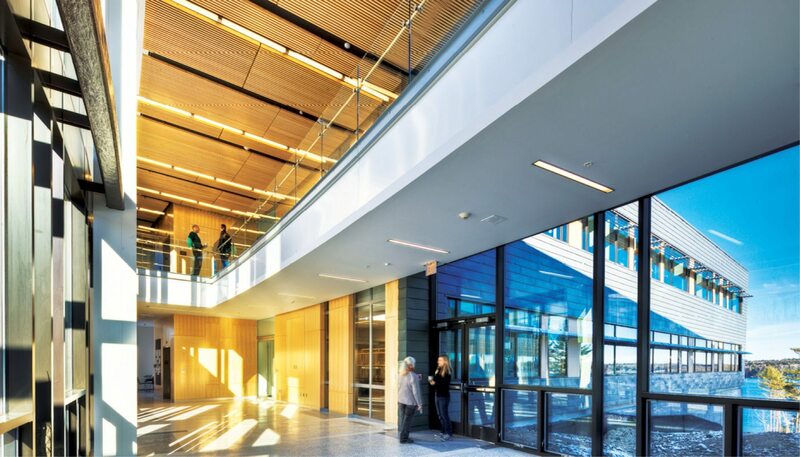 A key feature of the campus is the buildings’ unique daylighting design. The solar orientation of the three research wings, combined with open courtyards between each wing, helps to maximize natural light in the building, creating a comfortable and energy-efficient work environment. 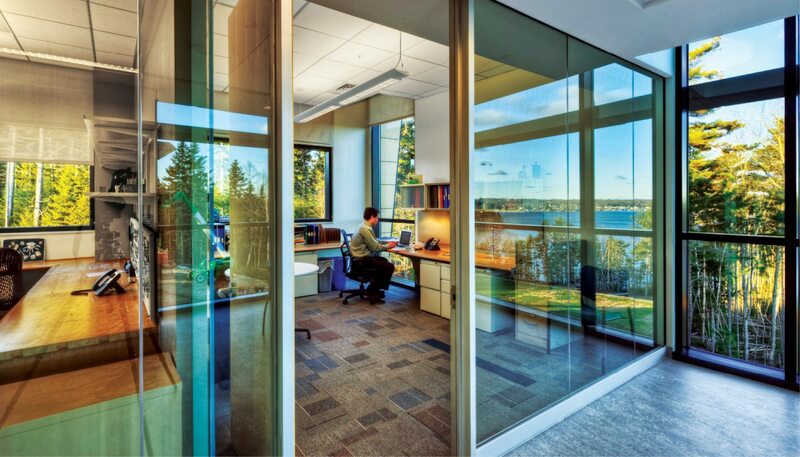 Elements, such as window shading, daylight responsive lighting controls and dimmable ballasts, lowered the power requirements for lighting and allowed nearly all interior spaces to take full advantage of natural light and wonderful views of Bigelow’s coastal campus. 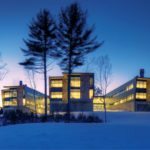 Year-round energy recovery and other high-efficiency equipment provide a 54% energy cost savings over a conventional design. High-pressure, low-flow water fixtures achieve a 45% reduction in water use, while 66 rooftop photovoltaic panels provide 19.21 kW of CO2-free energy. 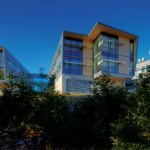 The three wings of the building are comprised of the Norton Center for Blue Biotechnology, the Center for Ocean Biogeochemistry and Climate Change, and the Center for Ocean Health. WBRC A/E was the architect of record for the first two building phases and the engineer of record for all building phases. 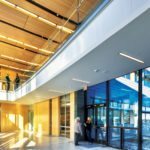 The Bigelow Laboratory for Ocean Sciences campus and its project team have received multiple awards, including recognition by Boston Society of Architects, AIA Maine, R&D Magazine and Associated General Contractors of Massachusetts. 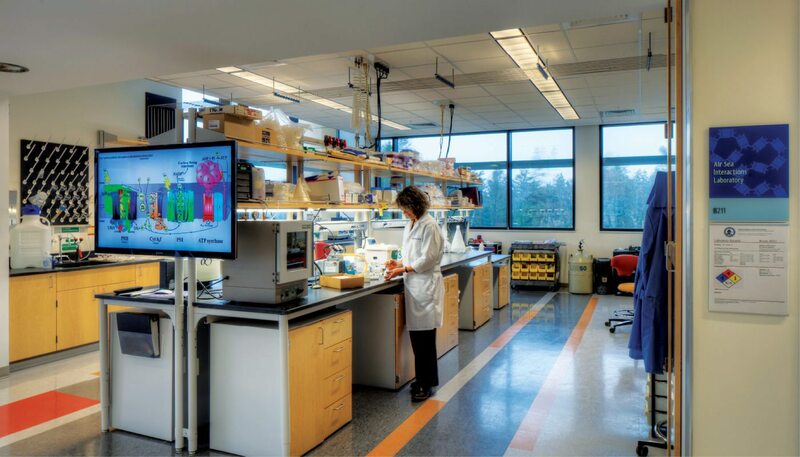 Norton Center for Blue Biotechnology (NCBB), a 23,200 SF, 3-story laboratory wing, was the initial structure. 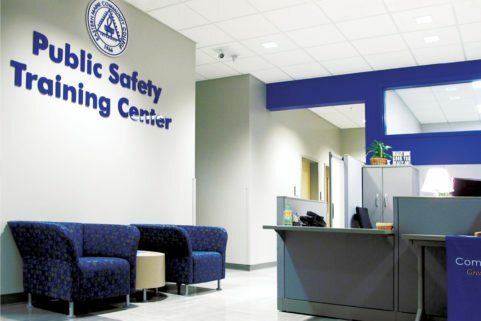 The lower level of the NCBB housed the main utilities to serve this initial phase of construction as well as the expansion to additional research wings as funding followed. The lower level also provides shipping and receiving services. 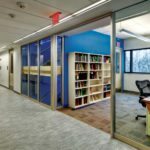 The first floor consists of research laboratories, glass-wash area, and the new location of the National Center for the Culture of Marine Phytoplankton (CCMP) that includes over 2,700 strains of algae. 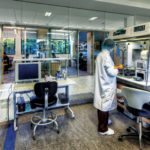 The second floor consists of research laboratories for flow cytometry, molecular biology, microscopy and a class level quality clean room. Offices are located along the north exposure on both the first and second floors. 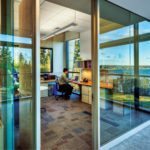 Center for Ocean Biogeochemistry and Climate Change (OBCC) is a 17,000 SF, 2-story laboratory building with a partial basement. 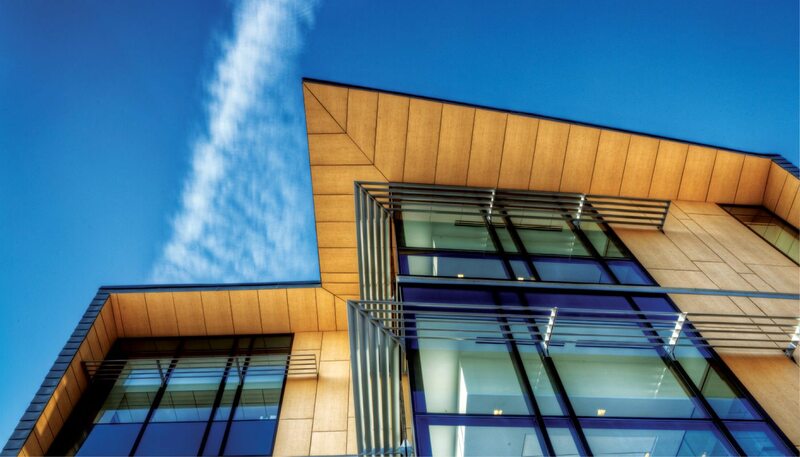 The OBCC is the second of three building phases of the main research facility. 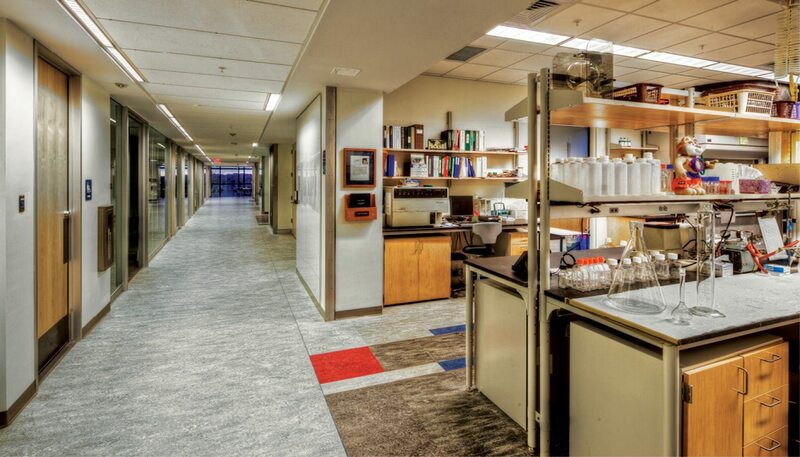 The lower level of the OBCC houses the air handler room, storage room and interconnects to the main systems within the boiler room, electrical room and utilities located in the initial building phase. 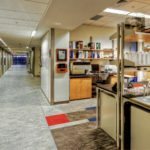 The first floor consists of research laboratories for marine optics, cellular biogeochemistry and radio chemistry suites, control temperature room and microscopy. 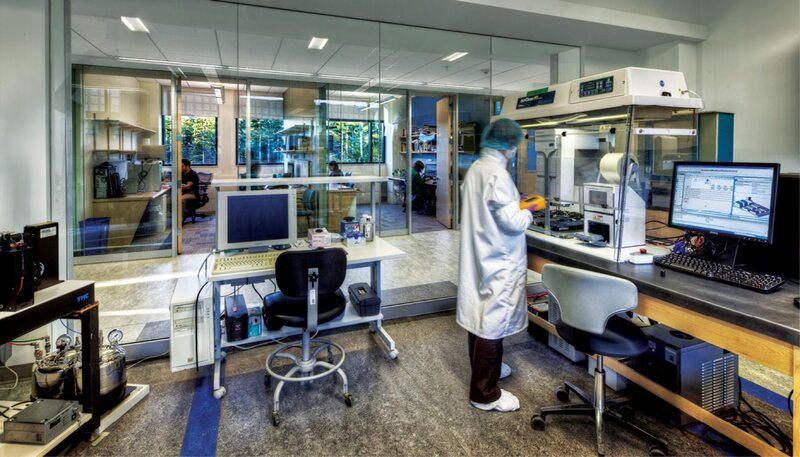 The second floor consists of research laboratories for ocean biogeochemistry, trace metal geochemistry, air and sea interactions, cleanroom, dark room and microscopy suites. Offices are located along the north exposure on both the first and second floors. 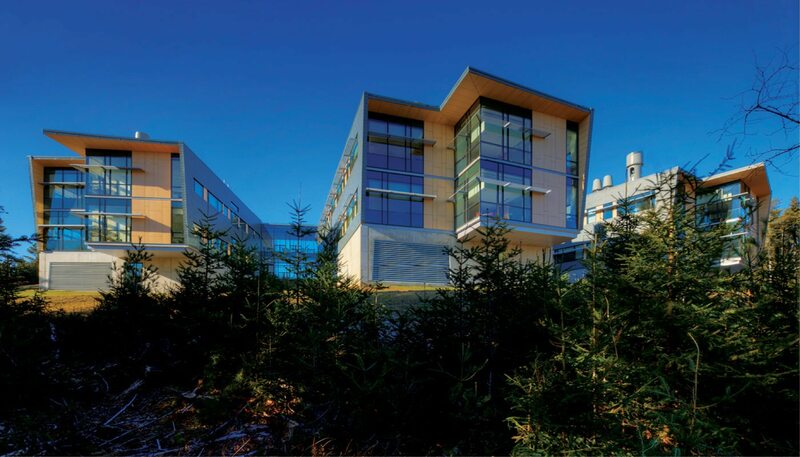 Center for Ocean Health (COH) is a 16,000 SF, 3-story laboratory building and is the third wing of the main research facility. 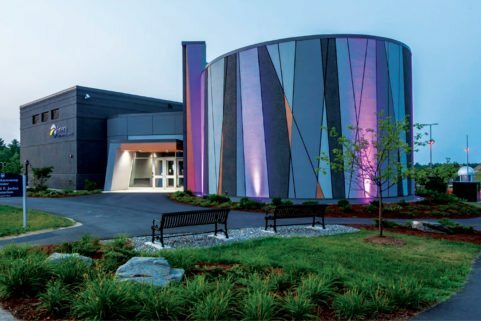 The lower level of the center houses the mesocosm/flowing seawater laboratory, algae growth room, seawater equipment room, and microscopy suite, as well as the air handler room and computer data center for the facility, and interconnects to the main boiler, electrical, and utilities systems located in the initial building phase. 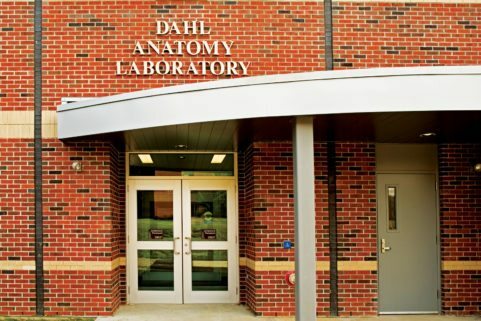 The first floor consists of research laboratories for ecology, physiology, dry neuro, and dry video. 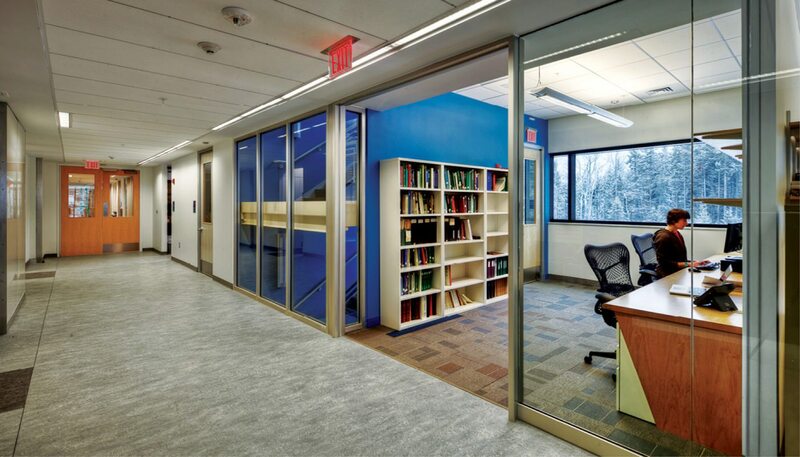 The second floor consists of two research laboratories for molecular biology, microscopy and evolutionary informatics. Offices are located along the north exposure on both the first and second floors. 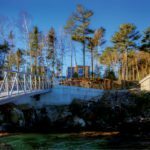 In addition to the main research facility, a new shorefront facility and floating dock is provided as part of the Center for Ocean Health project to support the ocean sciences with direct access to the waterfront. An extension of the existing roadway serves the shorefront facility. 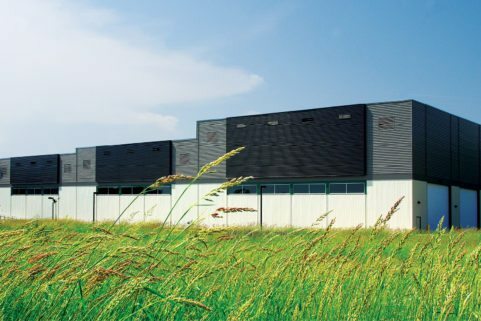 The shorefront facility houses the initial filtration and components for the flowing seawater system, dive gear storage and breathing air equipment. The floating dock with a 9’ wide gangway allows for access from main land and delivery of small cargo loads onto vessels. Project Budget and Schedule Management for this facility was provided for each phase, and was maintained by the design team, WBRC AE/Perkins + Will, and construction manager, Consigli Construction working closely with Bigelow’s various teams and funding agencies in order to provide and maintain 1) program integrity, 2) cost control, 3) schedule control, and 4) constructability throughout the entire project. This was accomplished with regular design meetings during the design and construction phases, with all parties contributing in the process. 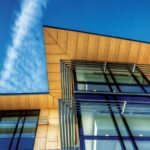 Formal submissions were provided at the various key submissions for CM pricing for confirmation of project scope and schedule throughout the project.